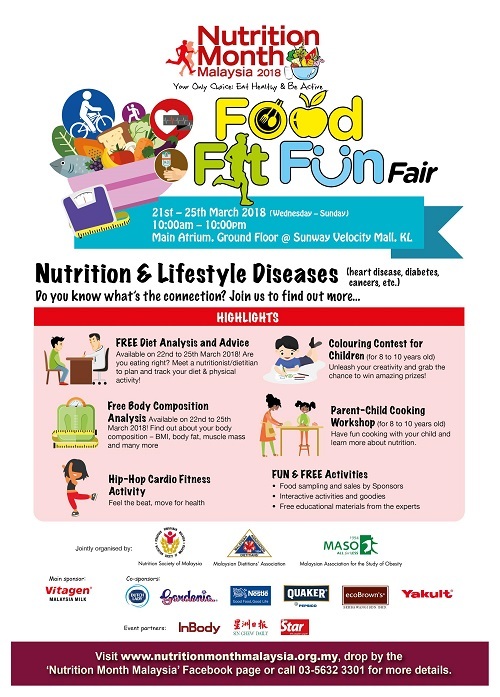 The annual Nutrition Month Malaysia is back for the 17th time, bringing you the all-new exciting “Food-Fit-Fun Fair” event at Sunway Velocity Mall, KL (Main Atrium, Ground Floor) this March 21– 25, 2018! Engage with nutritionists, dietitians and physical activity experts to learn more about ways to eat healthily and be active every day. 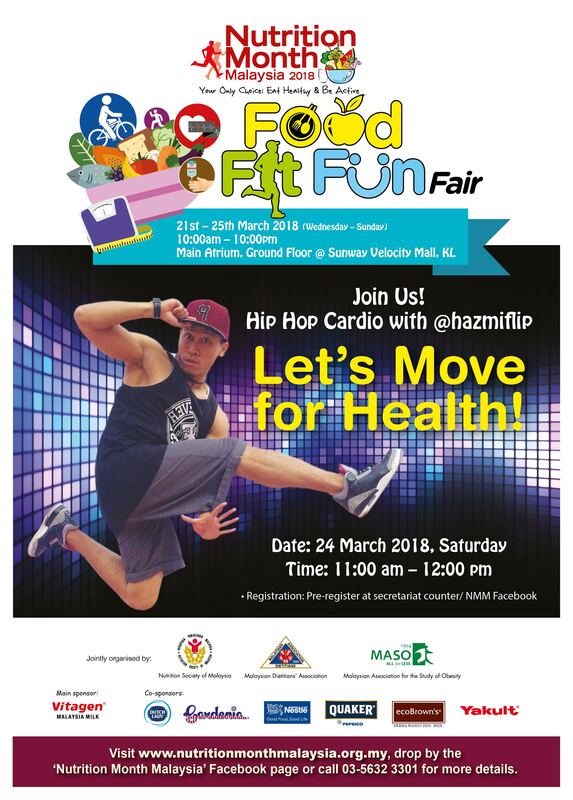 You and your family can also participate in FREE and FUN activities such as diet analysis and advice, body composition analysis, hip-hop cardio fitness activity, parent-child cooking workshop, food sampling, and much more. 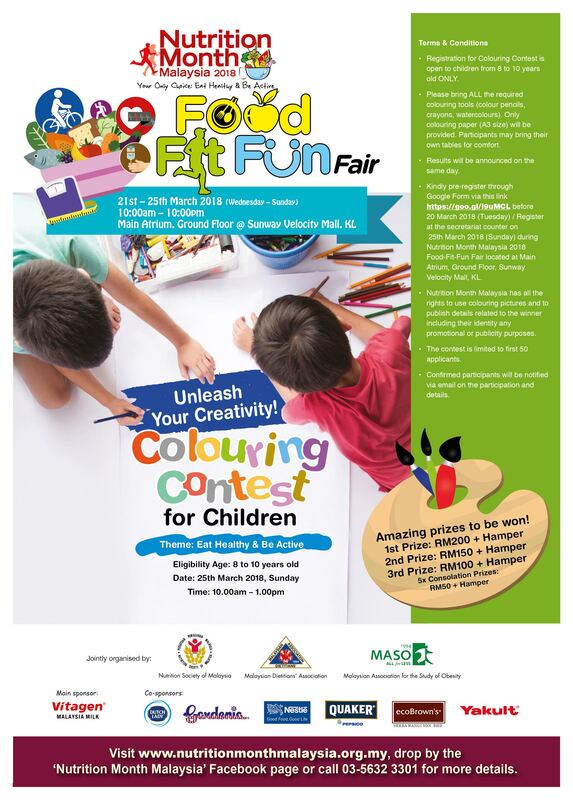 Besides that, children aged 8 to 10 years old can unleash their creativity in drawing and colouring, and stand the chance to win amazing prizes in our Colouring Contest for Children! 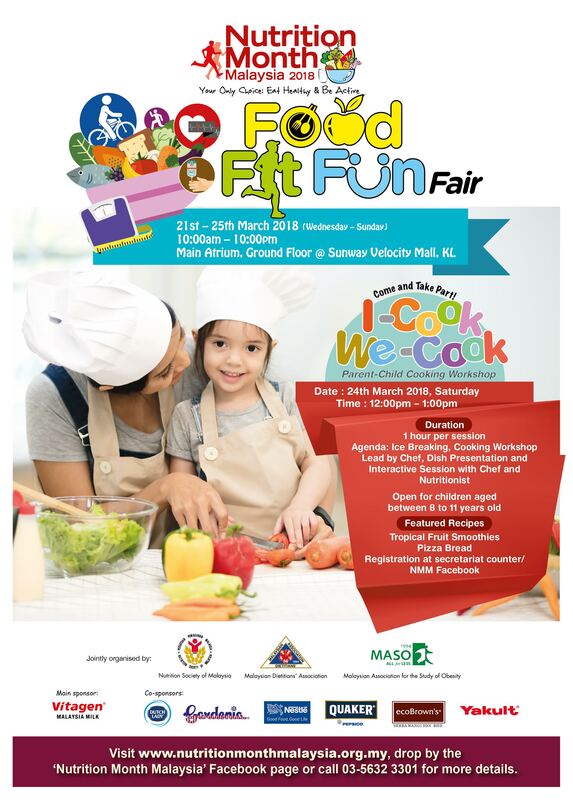 Mark the date on your calendar and bring your family to join us from 10:00 am onwards! For more information, call 03-5632 3301, drop by the Nutrition Month Malaysia Facebook page or visit www.nutritionmonthmalaysia.org.my or Instagram @nutritionmonth_malaysia. 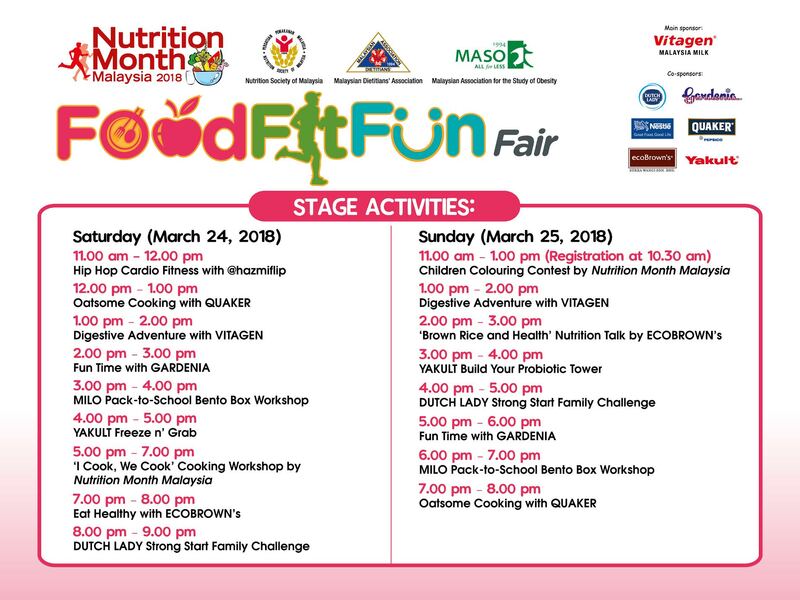 The Nutrition Month Malaysia programme, is a joint initiative by the Nutrition Society of Malaysia, the Malaysian Dietitians’ Association & the Malaysian Association of the Study of Obesity. The 2018 programme is supported by corporate Sponsors: Vitagen, Dutch Lady, Gardenia, Nestle, Quaker, EcoBrown, and Yakult.